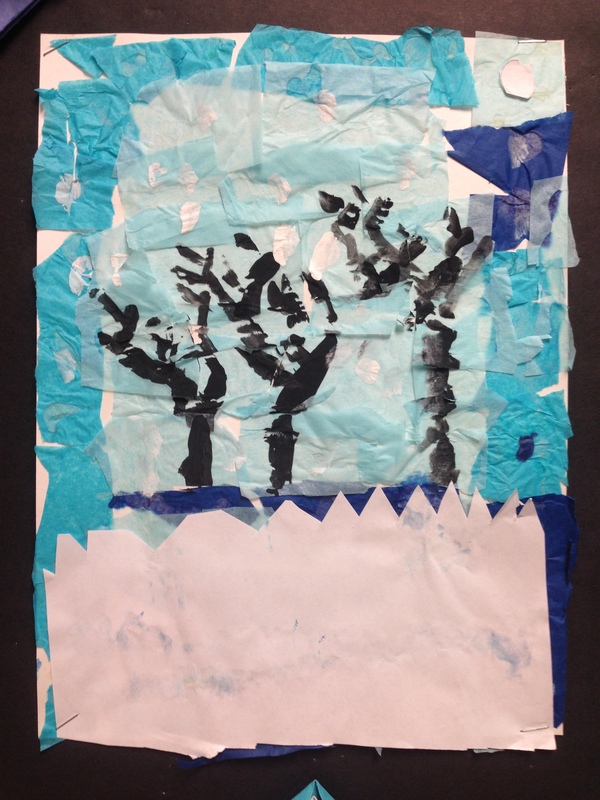 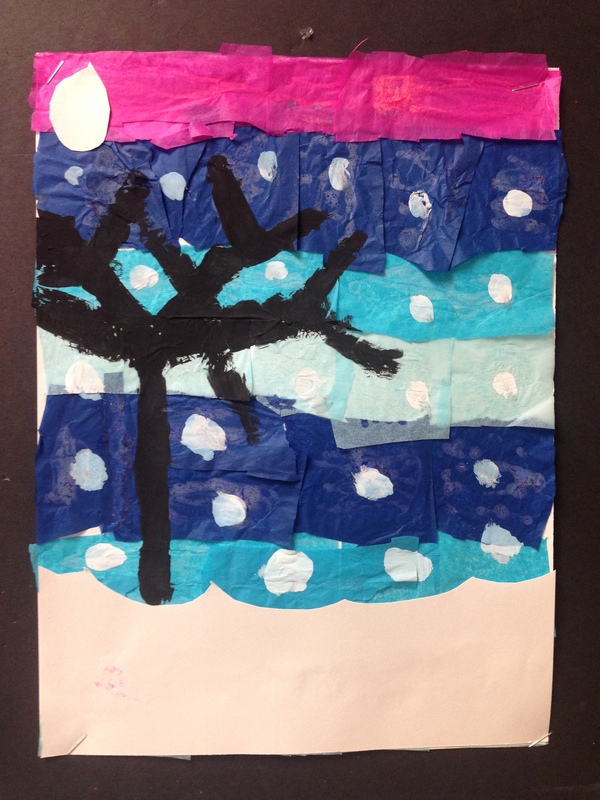 Our firsties learned about the words landscape, collage and mixed media. 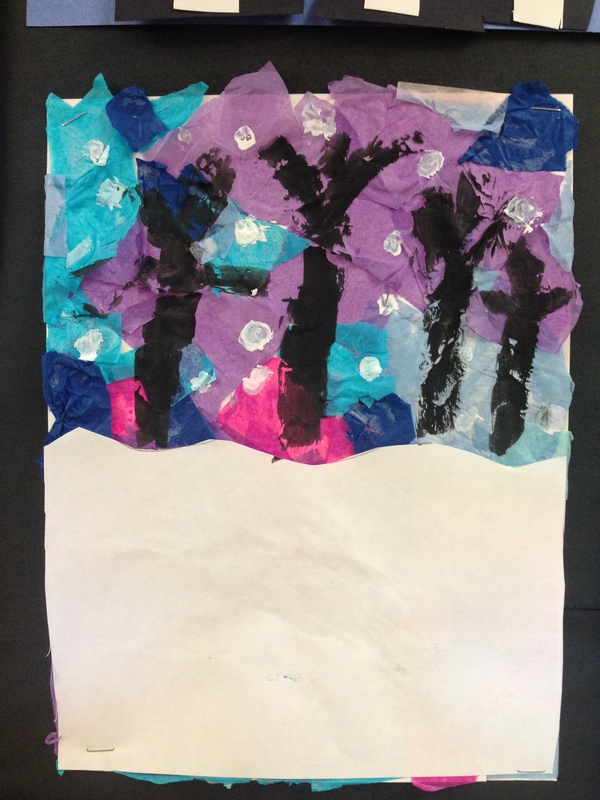 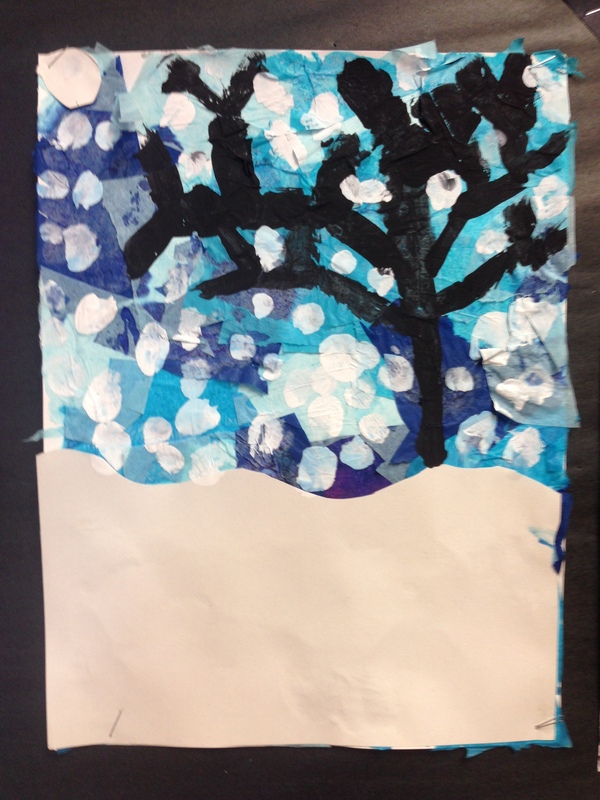 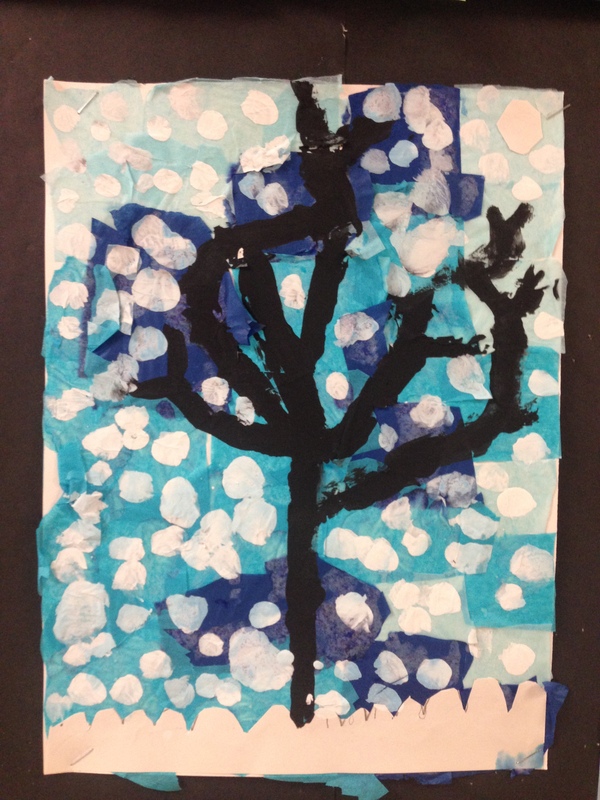 They first cut out rectangles of cool colored tissue paper, then painted on a black winter tree, followed by painting on falling snow. 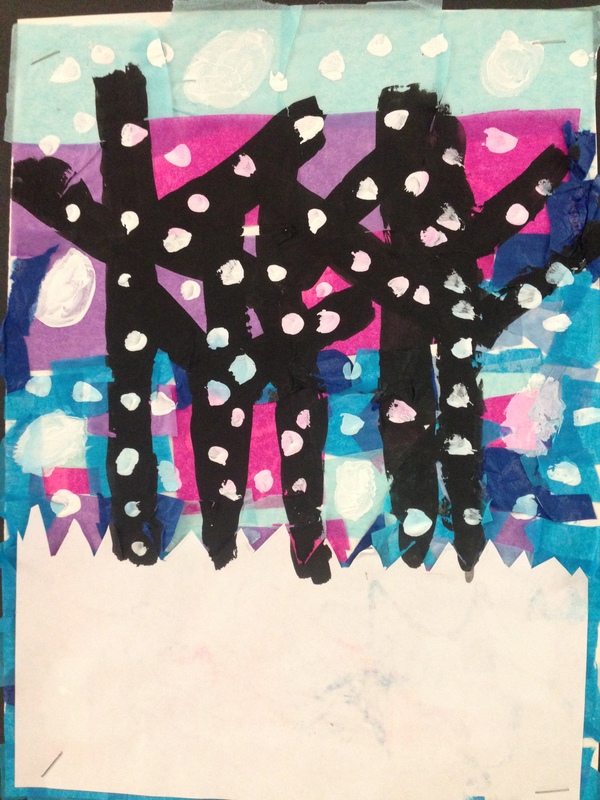 These were so great!